At Larrondo Dentistry we are sure you realize the importance of a simple smile and the impact it has on your success and happiness. Your smile should be inviting, calming, reassuring and positive. Those of you who are in business or are entrepreneurs work diligently toward your goals, looking for opportunities and taking risk to succeed. We are confident and positive a smile will encourage your contacts to take a chance on you if you are confident about your teeth and your smile. Of course, your success can’t be directly correlated to a smile, but the positive attitude that comes along with a healthy, genuine smile just might play a bigger role than you ever imagined. To help improve your smile, Dr. Jorge E. Larrondo offers dental bleaching, also known as tooth whitening, and Zoom, a bleaching process that lightens discoloration of enamel and dentin. The Zoom light activated whitening gel’s active ingredient is Hydrogen Peroxide. As the Hydrogen Peroxide is broken down, oxygen enters the enamel and dentin, bleaching colored substances while the structure of the tooth is unchanged. The Zoom light aids in activating the hydrogen peroxide and helps it penetrate the surface of the tooth. 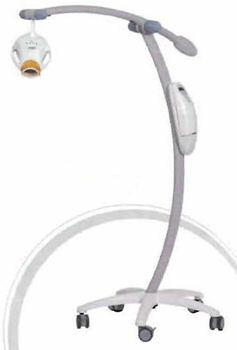 A study has shown that use of the Zoom lamp increases the effectiveness of the Zoom gel by 26% or more, giving an average improvement of eight shades’. Factors that decrease whitening include smoking and the ingestion of dark colored liquids like coffee, tea and red wine. The ADA recommends that you have your teeth checked by a dentist before undergoing any whitening method. At Larrondo Dentisty of Hemet, Dr. Larrondo will examine you thoroughly and take a health and dental history (including allergies and sensitivities), observe hard and soft tissues, placement and conditions of restorations, and sometimes x-rays to determine the nature and depth of possible irregularities. He will then make recommendations on which tooth whitening proceedure is right for you. Contact Larrondo Dentistry by calling 951-925-6596 or stop by our office at 160 S. Santa Fe in Hemet to schedule a tooth whitening consultation.